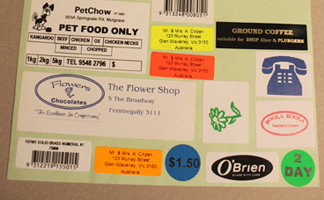 Spot-On Labels digitally manufactures custom decals and small signage for various surfaces. We can cut a huge variety of decals of any shape or size required by our esteemed customer. Decals can be used to decorate and achieve special effects on surfaces. They are a high-quality product used to stick artwork onto surfaces like glass, wine glasses, coreflute signs, all types of craft and a wide variety of artistic and creative applications. Decals are applied by removing the backing carrier and placing the artwork onto the surface. The transfer tape is then carefully removed leaving the artwork in position displaying the information. 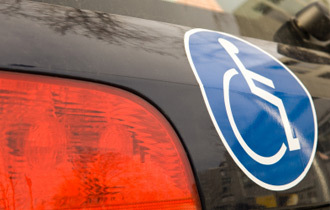 Corporate clients can use decals to have their logo and signage applied on products. 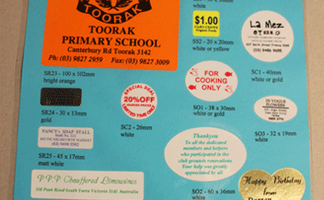 We at Spot-On Labels provide quality decals at affordable prices. Keeping in mind the requirements of the customers and fulfil their order on time. Our friendly staff can provide you with the answers to your questions on any services that we provide.